A few weekends ago Alex & I went to Gainesville. The main reason we went was because we wanted to checkout the Devil's Millhopper and the Retirement Home for Horses Inc. The weather was perfect and since Gainesville is only a little over 2 hours from where we live, it was a nice day trip. The Devil's Millhopper is a geological state park and nature preserve that consists of a sinkhole that is is over 120 feet deep. 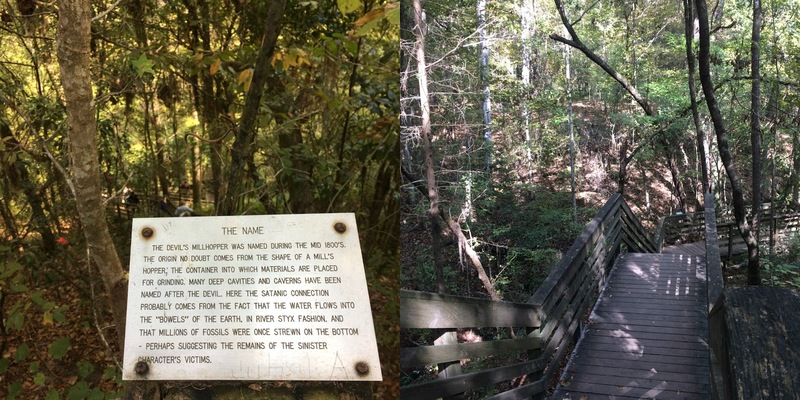 Within the sinkhole exists a miniature rain forest that people have been visiting since the early 1880's. There are over 200 steps that descend into the bowl shaped cavity. Needless to say it was pretty awesome! 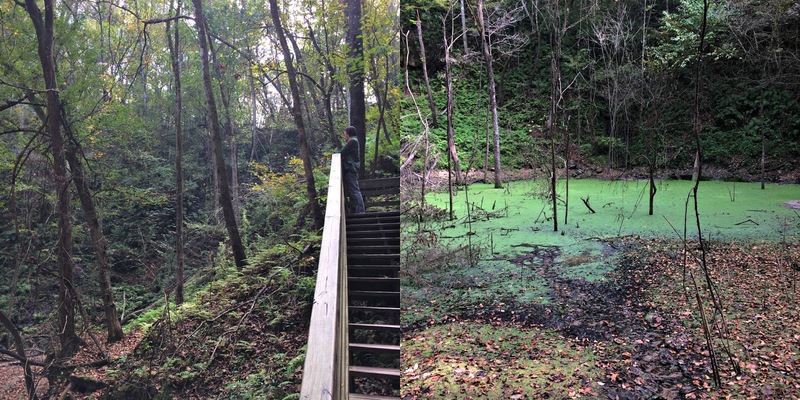 After we saw the sinkhole we traveled back up the steps and walked around the nature preserve that surrounds it. After the Devil's Millhopper, we headed to lunch at a local Mexican restaurant and drove to the Retirement Home for Horses. We had a 5lb bag of carrots with us, which came in handy because not only is it 2 carrots for the admission fee, but we had the chance to feed the horses. Well, actually I fed the horses - Alex just watched. I think he realized I would get a lot more out of it than he would. 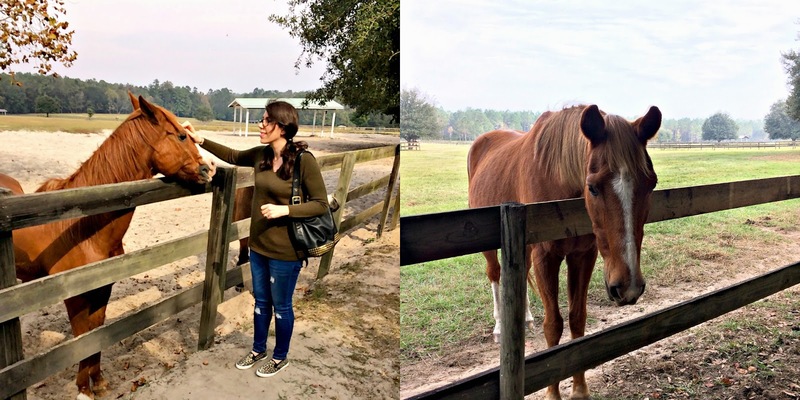 Either way, spending time with those horses was pretty amazing and I look forward to going back there sometime in the future. Aren't horses amazing creatures? How great that you got to feed them!! The sinkhole looks amazing, but I'm afraid 200 steps makes it impossible for me to ever see, other than through your camera lens! Thanks for sharing your day trip. I was not aware of either of these places! Horses really are incredible. I think you'd really enjoy the retirement home for horses. It was magical.